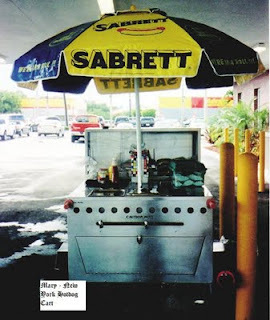 Food Adventures of a Comfort Cook: Gotta love them dogs!!! In New York City, one of the most popular places to eat is at the local street corner vendor. 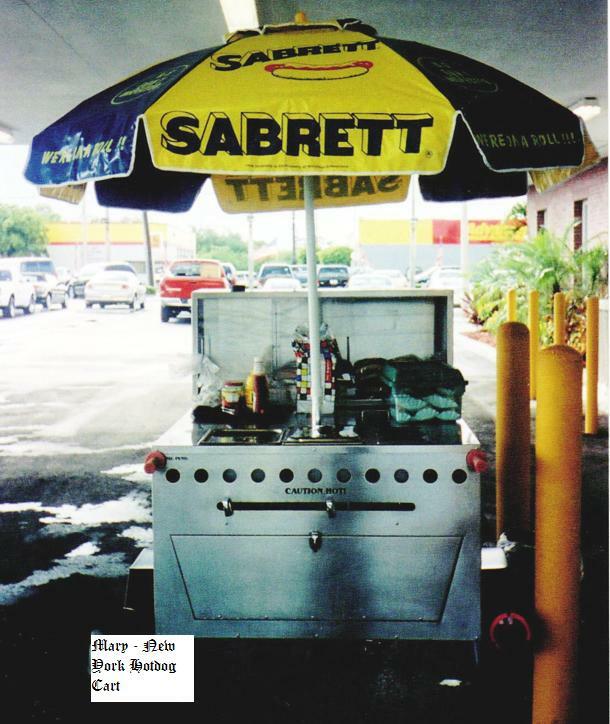 A colorful umbrella covered push cart; some with jumbo soft pretzels and knishes, but all with the most popular item – Sabrett hot dogs in steaming water with an assortment of condiments: ketchup, mustard, relish and spicy onions in sauce. 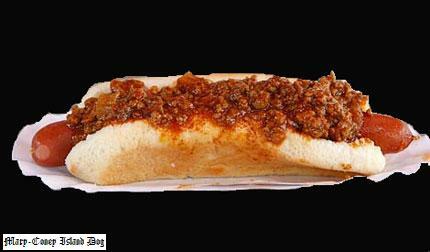 Coney Island, the birth place of the famous Nathan’s hot dogs, has a distinctive sauce of its own. A slow cooked, spicy chili type sauce loaded with ground beef and minced onion. New Yorkers know this is the best quickie, on the go, meal in town; and all self-respecting guide books recommend it to visiting tourists from around the world. 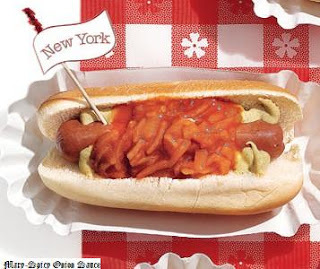 If you haven’t stopped at a push cart and had a hot dog with onion sauce, or gone to Nathan’s in Coney Island, then you haven’t really experienced a big piece of New York City. In a large sauce pan, heat oil on medium heat; sauté onions till softened, but do not brown. Dissolve the cornstarch in the water; add to the onions with rest of ingredients, except the vinegar. Mix together and bring to a boil; reduce heat to low and simmer for 20 minutes. Add vinegar and continue to simmer for an additional 10 minutes or until sauce has thickened. In a large sauce pan, on medium-high heat, brown ground beef; halfway through, add onion and garlic; drain excess oil. Add all remaining ingredients; mix and bring to a boil. Reduce heat to low and let simmer for one hour; stirring occasionally. 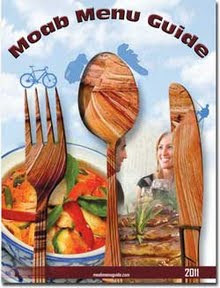 Oh wow, those look good. Gonna try the chilli recipe.